Accommodating up to 150 guests, the newly renovated Madison Ballroom features numerous windows that allow natural light and sweeping views of our top-rated Golf Course. 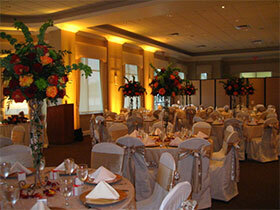 Our neutral décor allows you unlimited linen and floral choices. 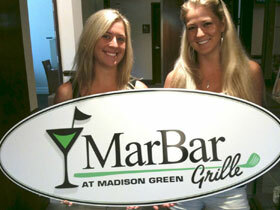 The MarBar Grille at Madison Green is the perfect way to end your round of golf or day at the office. 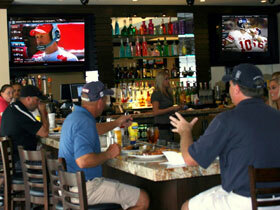 Unwind with your favorite beverage from our fully stocked bar while you relax and enjoy the natural surroundings. 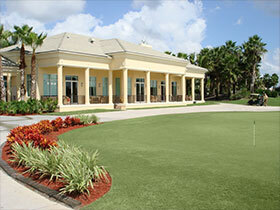 The outdoor covered patio provides a scenic view of the golf course. 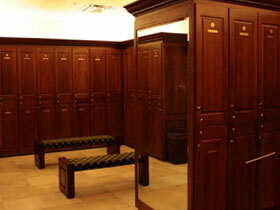 Madison Green Country Club offers the best in equipment and apparel to compliment your game. Stop by our fully-stocked Golf Shop before or after your round and browse through name brands. Our friendly staff will help you make start times, rent golf carts, sign up for club storage, and help register you and your guests before each round of golf. 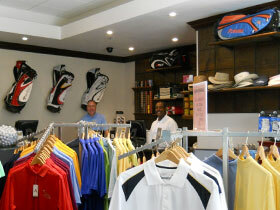 An excellent selection of golf clubs and related merchandise are sold in the golf shop. Contact the Golf Shop for assistance, or to make an appointment for lessons. Our members can now take advantage of our new locker rooms, featuring showers and steam rooms, spacious lockers and more! Madison Green Country Club features a spacious driving range with complete practice facilities, including chipping and putting areas and sandtraps – perfect for working on your short game or grooving your swing. 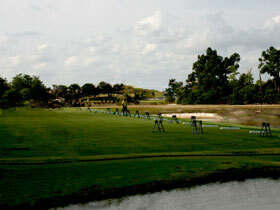 The golf course also has PGA certified staff available for lessons. What better way to take your game to the next level this year? Take time to perfect your swing and improve your golf game today!